“After a challenging pregnancy and adjusting to life with twins, I decided in the Summer of 2014 that it was time to get serious about the quality of my health and life because I needed it for me; I needed it for my family. I exercised sporadically but with no consistent dedication, and I felt terrible about myself. I had heard of “CrossFit” and all the good, bad and scary, but thought “why not”? If my legs and arms bulked up like the Incredible Hulk it had to be a shape better than the one I was in. (Fortunately, this is not what has happened in 3 years). I looked into several locations and found CrossFit 865 because the early class time was what I needed for my busy life…. – Sonya M. Smoak, O.D, F.A.A.O. 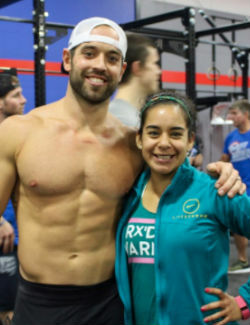 “In November 2014 I came to CrossFit 865. I was intimidated and scared. I was not the oldest person here, but I was the fattest and the least fit. That’s ok. I had always been interested in the CF concept and at that time I had already lost 30 pounds, and I wanted to give it a try. I was very focused on my health, and I knew I needed more than just eating right and losing weight. I committed (to myself) to do 3x per week for 6 weeks before making any decision. I knew to give it a fair chance I needed more than a few WO…. And not let the intimidation send me running away. So, roll forward to present…. I met my weight goal of 115 in December 2015. I threw away my blood pressure Rx in the spring 2016. Yes, I scale a lot of things in my WO. I sometimes scale the scale. That is ok. I know I don’t have to worry about Rx. I’m proof of that. I just do what I can do. 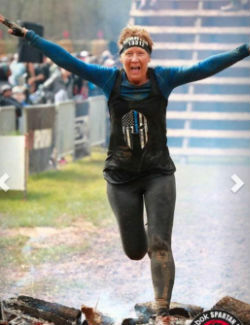 I have done 3 Spartan Sprint Races, 2 5K Mud Runs, an Inflatable 5K, and 2 GORUCK Light Challenges. 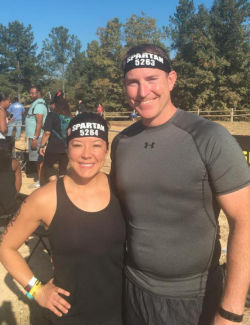 Granted, I needed a team for Spartan Sprint. That’s ok. (I don’t want to come across stronger than I really am.) Yet, my fitness is the best it has ever been and I am 58 years old. Words cannot express my feelings of gratitude for CrossFit 865 and your coaching, your care, and the concern you show me and every member and visitor at the Box.